Hi Tim: This is a great question! While we don't specialize in TV, we have had a few customers who have successfully adapted our Film Financial Projections for TV Execs. However, these were TV industry folks with some experience and not someone totally new to the game. 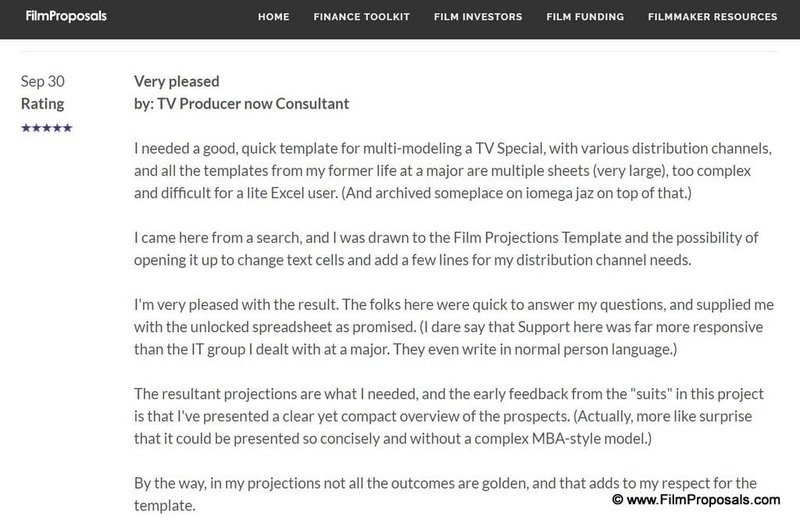 For example, read what "TV Producer now Consultant" had to say about using our Business Plan Tools. I will email him and see if he is available to help you.